Check your credit score(s). 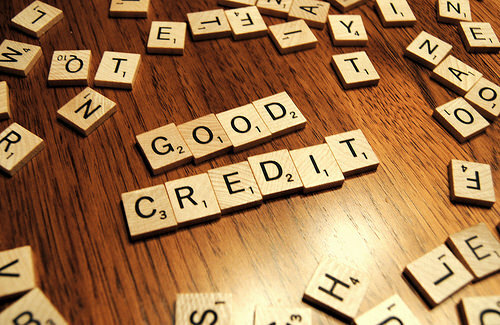 Certified credit counselor Greg Harper says that most of the credit reports he sees are wrong. Get a free report at annualcreditreport.com and check for correct addresses and bank accounts. U.S. law entitles you to a free report every year, but because creditors report to three bureaus, Harper recommends you pull a copy from each bureau every four months. Find alternatives. "If you don’t have any credit, the hardest thing is to get about establishing that," says Kathy O’Masters, a credit union representative. If your credit application isn’t approved, consider a certificate of deposit or share secured loan. You deposit money into an account, which the bank then freezes and issues you a card with credit for that amount. As you repay the loan, the bank releases the money you originally deposited. The advantages: Interest rates are low, and you can build credit without banks checking your history. The disadvantages: CDs report like any other loan, and if you don’t pay, the bank will keep your money. Luckily, you can set up automatic payments. Another option is to co-sign a credit card with someone who has enough income or credit to be approved. But keep Harper’s advice in mind: "Co-signing is something I’d recommend nobody do, unless you go into it saying, ‘I’m going to take full ownership of what I’m co-signing for.’" With cosigning, paying — or not paying — affects your credit scores. Monitor your plastic. If you’re living off ramen through college, you might not need a credit card yet. These cards are not for supplementing income. "You want to build credit so you can buy a house or buy a car. If you’re struggling, your credit shouldn’t be a priority," Harper said. He added if you already have a credit card and want another, be discerning. "There’s not a lot of people I see that have one credit card. It’s 10 or 15 of them." Most of them are department store cards, too. Pay on time. Start healthy repayment habits now to entice future lenders. Paying for rent, your cell and utilities won’t build credit, but not paying on time can ruin it. Good habits will get you what you want later, according to Harper. Care for credit you have. Most states let you do a security freeze on your credit to prevent identity theft, which prevents people from opening new accounts without your knowledge. Do this. Such freezes typically cost $10 or less for all three agencies that track your credit, so eschew expensive companies. Watch your credit limits. "You don’t want to use more than 30 to 50 percent of your available credit. Period," Harper cautions. This means if you have a credit card with a $1,000 limit, you shouldn’t use your card for more than $500 each month. If you go over, creditors see you as mismanaging your credit because you over-obligate yourself. That shiny new smart phone will have to wait until next month. Having good credit often comes down to being friendly with your bank and finding an insider to vouch for you. "Don’t be defined by your circumstances," Harper says. "Be defined by how you handle them." Photo by Got Credit via cc. By Emily Zak Copyright 2015 brass Media, Inc.